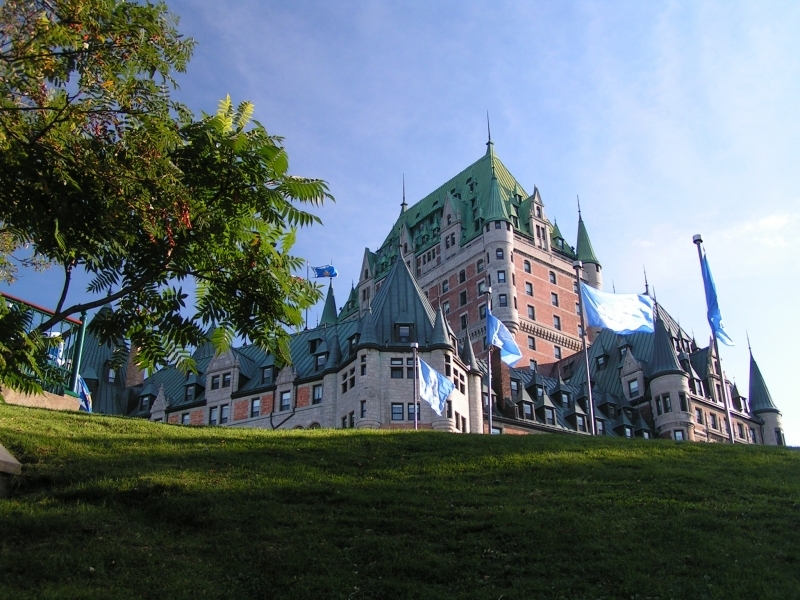 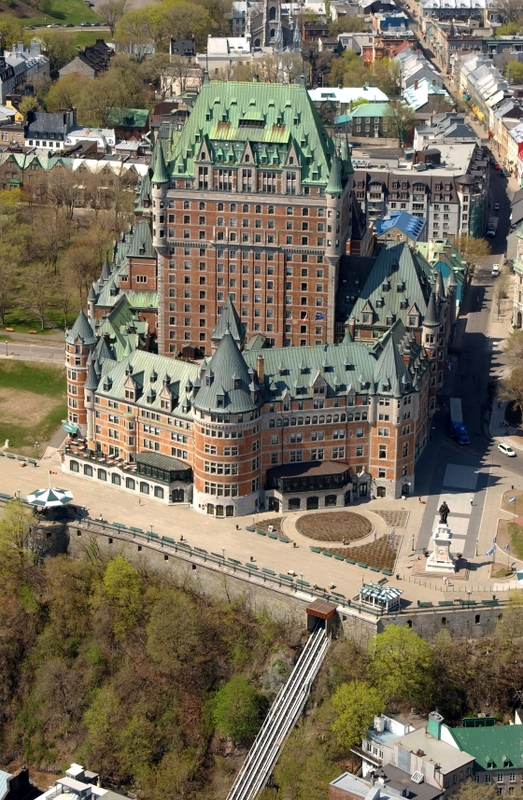 Chateau Frontenac, old city of Quebec, province of Quebec, Canada. 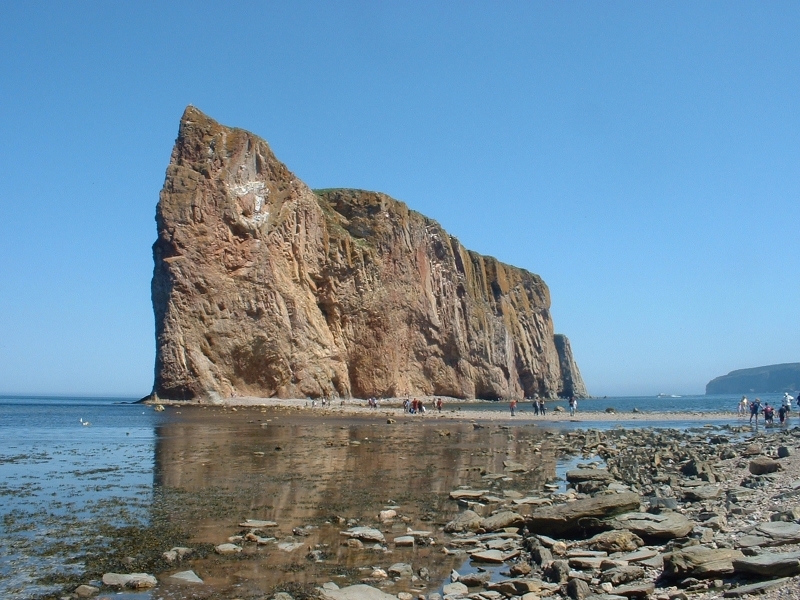 View of the 'Rocher Perce' (or Pierced Rock) in the Gaspe area of Quebec, Canada. 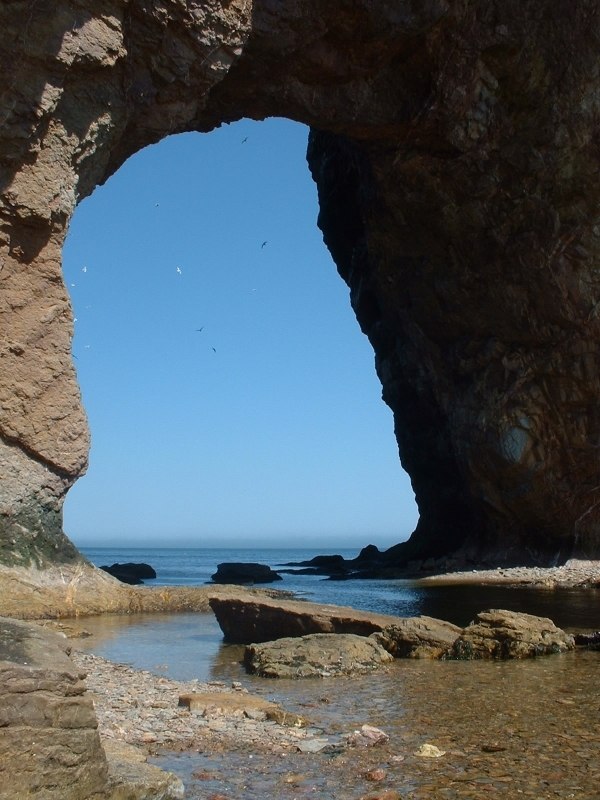 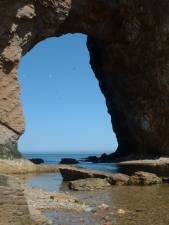 View of the hole in the 'Rocher Perce' (or Pierced Rock) in the Gaspe area of Quebec, Canada. 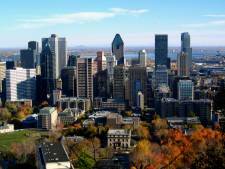 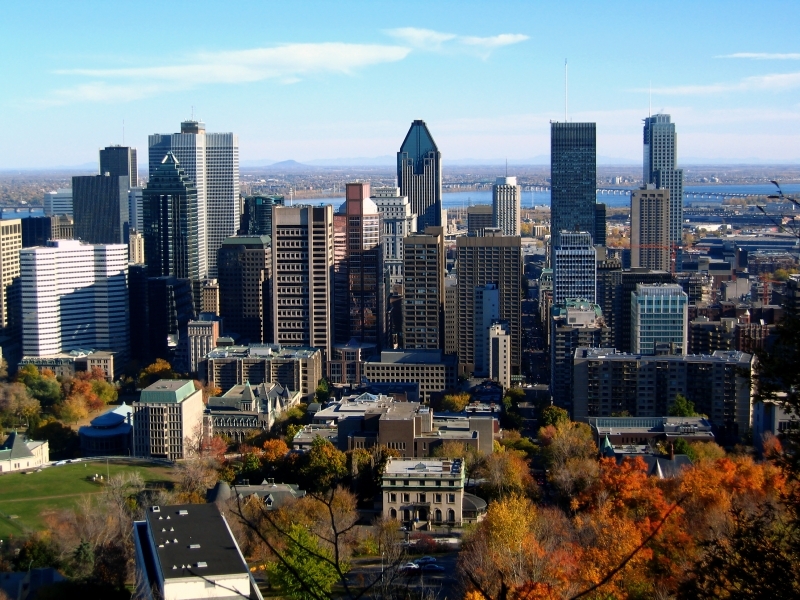 Picture of downtown Montreal from Mont-Royal in autumn. 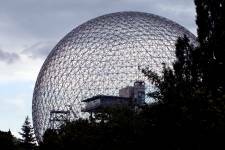 Biosphere in silhouette against a stormy sky, Montreal, Quebec. 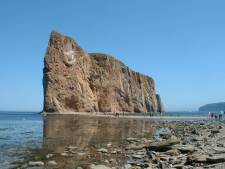 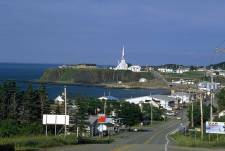 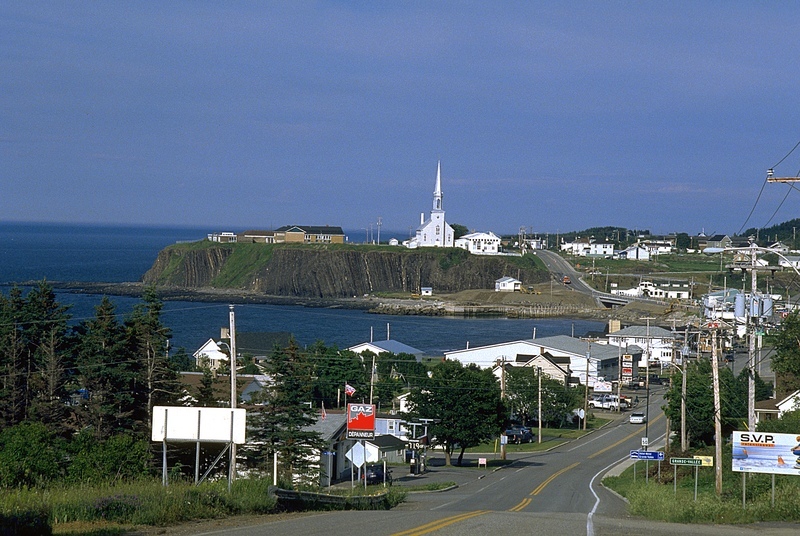 Gulf of Saint Lawrence village, Gaspe Peninsula, Quebec, Canada. 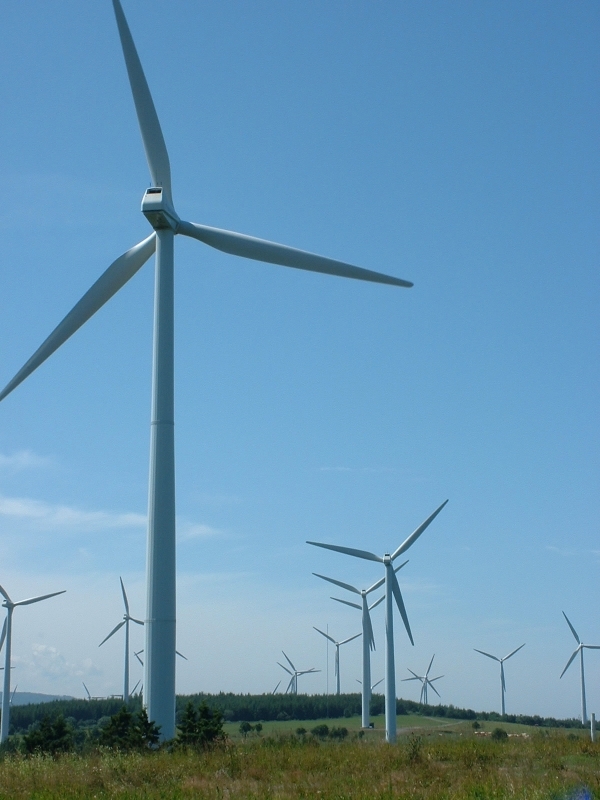 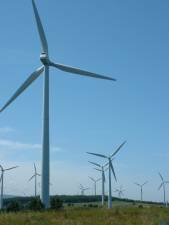 Modern windmills taken at the Cap Chat windfarm in Canada. 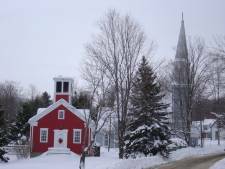 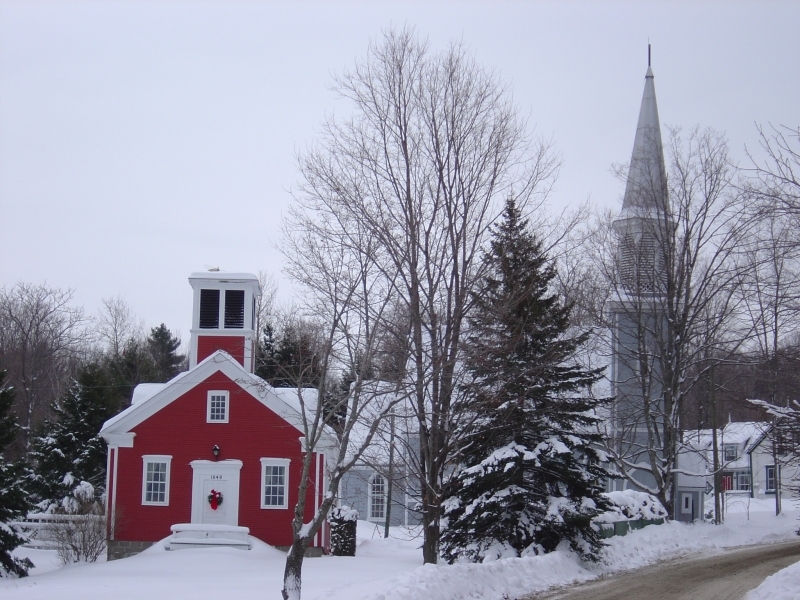 Winter village with church, tower, trees, road and snow, Georgeville, Quebec, Canada. 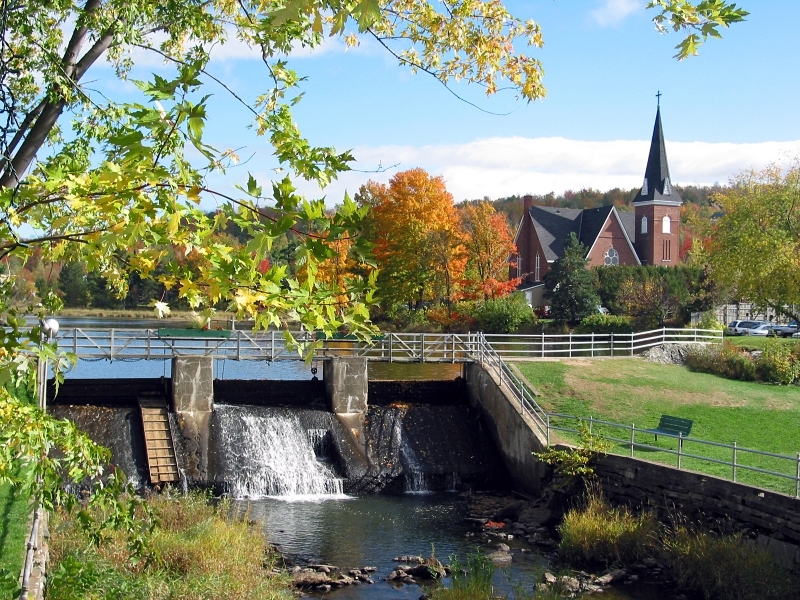 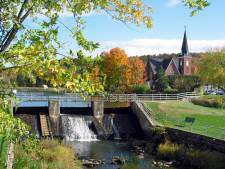 Autumn village, Knowlton, Quebec, Canada.